MLVD wrote: Is Granville the only interchange that uses that station board style sign in bus blue? Does anyone have pictures of the new Olympic Park “T” signs? gilberations wrote: Does anyone have pictures of the new Olympic Park “T” signs? Certainly looks contemporary. Just in time for the seeing off of the mighty S sets. Town Hall has received new style station signs once again, for platform directions. Looks like they finally cracked after I assume enough people complained about the platform signs only listing "Key Stops". The old signs next to stairs/escalators have been removed. I do wish though they'd fix up other big stations that dont have any platform wayfinding first though. Jurassic_Joke wrote: Looks like they finally cracked after I assume enough people complained about the platform signs only listing "Key stops". Jurassic_Joke wrote: Town Hall has received new style station signs once again, for platform directions. Looks like they finally cracked after I assume enough people complained about the platform signs only listing "Key Stops". The old signs next to stairs/escalators have been removed. I do wish though they'd fix up other big stations that dont have any platform wayfinding first though. Credits to them for including T3 Liverpool via Bankstown on platform 1 though. I notice Central platform 22 has still have old T3 Bankstown Line destination. TSE_SecretAni wrote: I notice Central platform 22 has still have old T3 Bankstown Line destination. Temporary signs were placed over the top after the new timetable came in last year, it may have disappeared. Looks pretty cool to be honest. Well done in this instance ST.
That website is a re-coloured version of the CityRail website. It's ancient. And it sure as hell doesn't meet the government's own standards for accessibility. Koolewong was getting done today. A good number of stops on Hillsbus route 711 have been done in the last month or so. 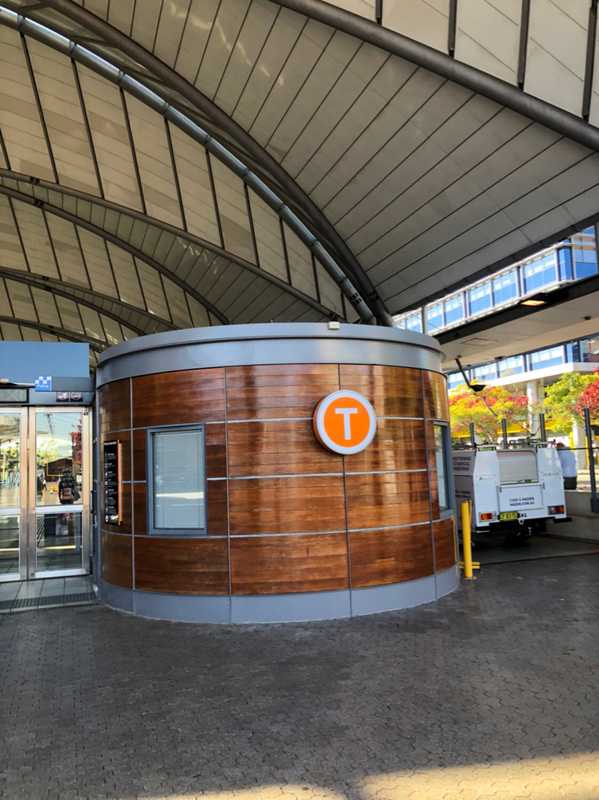 About T3, I don't really think its a coincidence that it just so happens to be almost every stop on the Bankstown Branch has been left untouched. I won't stop you, I mean, when I got off at one of those stops a month ago, I was pleasantly reminded/surprised with how much better not only being told which direction the station exit is on the platform, but also, the old station exit signs are better than the new ones. Not only is the font a more professional size, but also in particular, listing what landmarks are out this exit (eg "Town Centre" / ___ "Racecourse" / "___ Park") adds some charm, and not just the street name outside like the new signs do. Yawn. This project really was all about sucking out as much character as possible from the network. 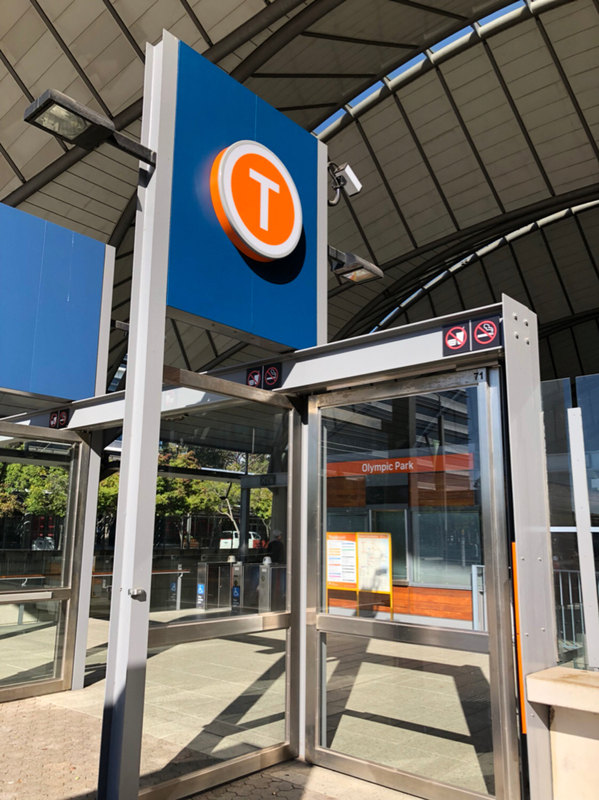 I firmly believe T3 has been largely exempt (except for the high profile stations like Bankstown, Sydenham, renovated Marrickville) because this is about to be converted to Metro. It'll be rebranded in Azure Blue then (if we go off the artist impressions picture), so the Tories actually did have a think how to be cost efficient and how to not waste money on signs that will be obsolete in a short number of years. That is, if they don't lose the next election and the Bankstown Metro goes down the drain as per Labors promise. 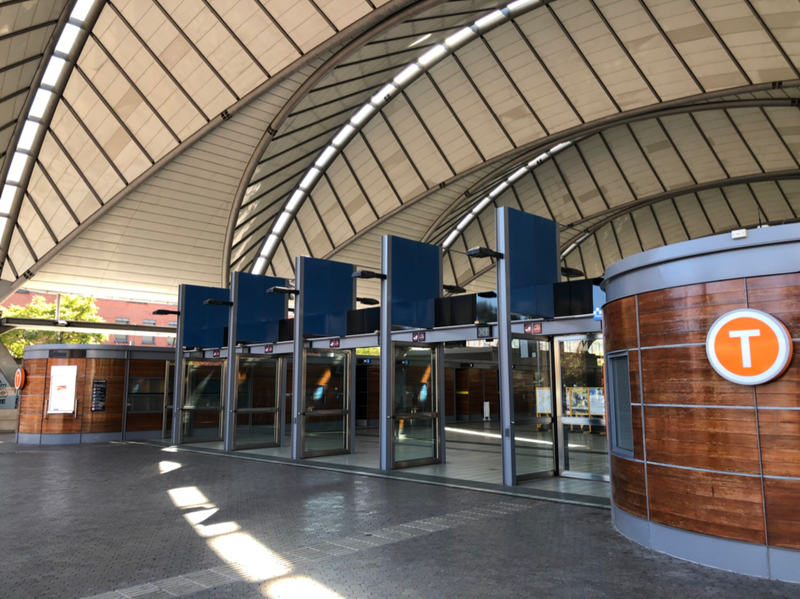 Sefton station has received its makeover. This was one of the few stations to not receive the blue CityRail signs, still having the 1980s white signs. Last edited by Ranger82 on Mon Sep 17, 2018 10:03 pm, edited 1 time in total. Katoomba have orange Station Sign too. Linto63 wrote: Sefton station has received its makeover. This was one of the few stations to not receive the blue CityRail signs, still having the 1980s white signs. Same with Wondabyne which will be getting done soon.